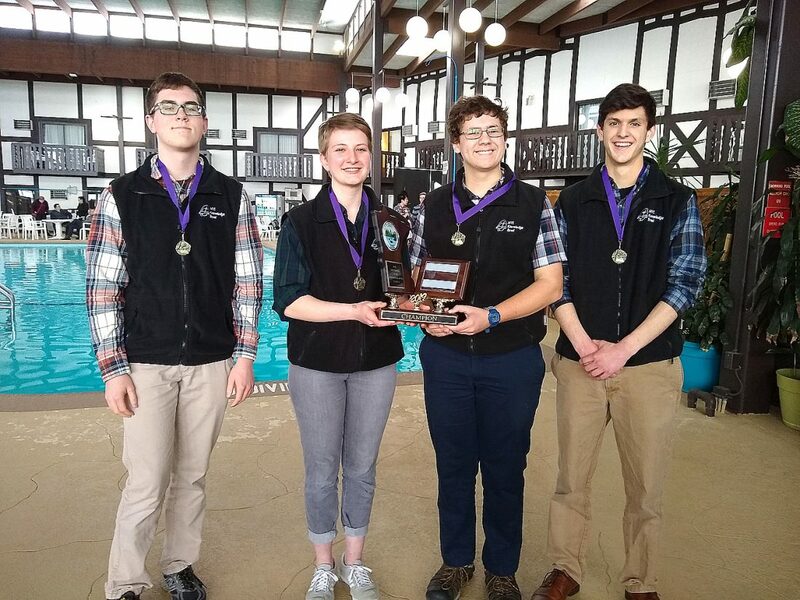 Minnesota Valley Lutheran High School Team Black won the Class A (small schools) State Knowledge Bowl tournament at Cragun’s Resort in Brainerd April 10-11. Twenty-four small-school teams, including two from MVL, competed in the Class A tournament. Marshall Mohror was recognized for a record fourth trip to state in Class A. 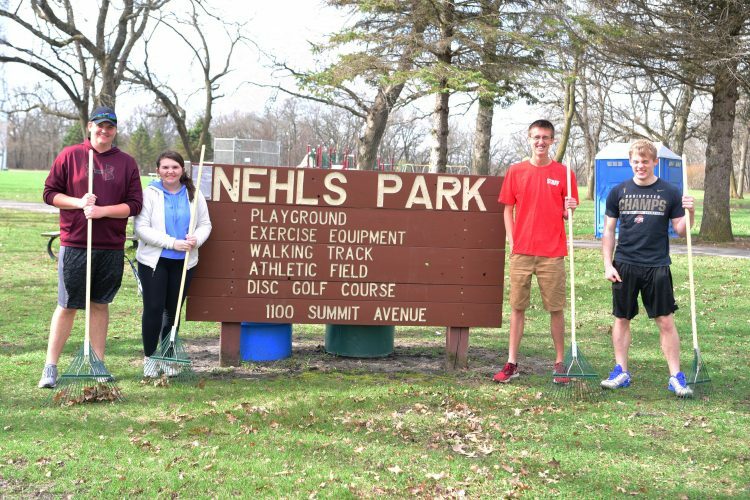 From left, Mohror, Stephanie Dose, Jonah Kramer, and Kincaid Diersen.